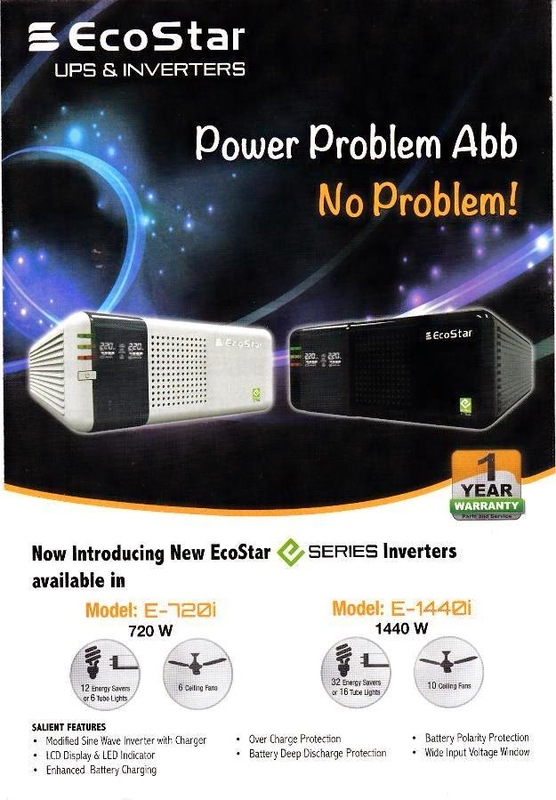 Power Problem No Problem Eco star UPS and Inverters solve your all power problems. Its capacity is 1440-W and you can run almost 32 energy savers or 16 tube lights with 10 Roof Fans. Its Capacity is 720-W and you can run almost 12 energy saver or 6 tube lights with 6 Roof Fans.